If you’re looking for a gluten-free cookie that doesn’t require expensive or difficult-to-find flour substitutions, you’ve come to the right place! 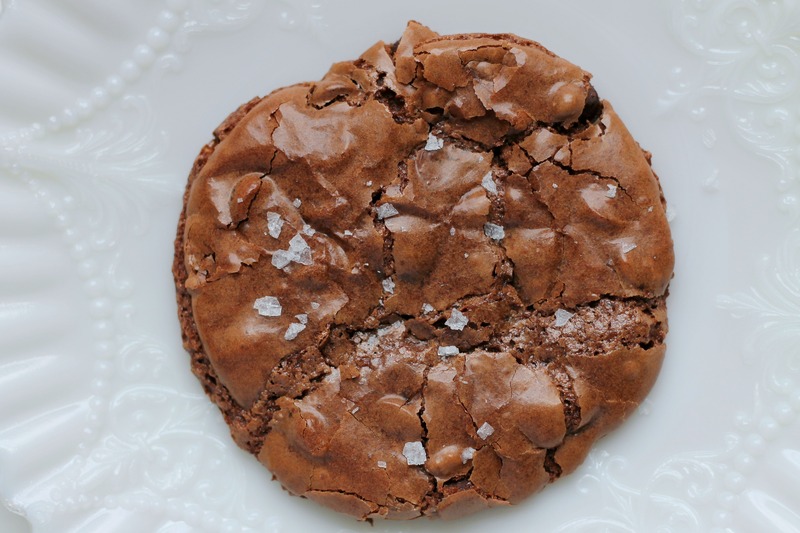 These cookies are super fudgy, with chewy-crisp edges. The sea salt brings them over the top. 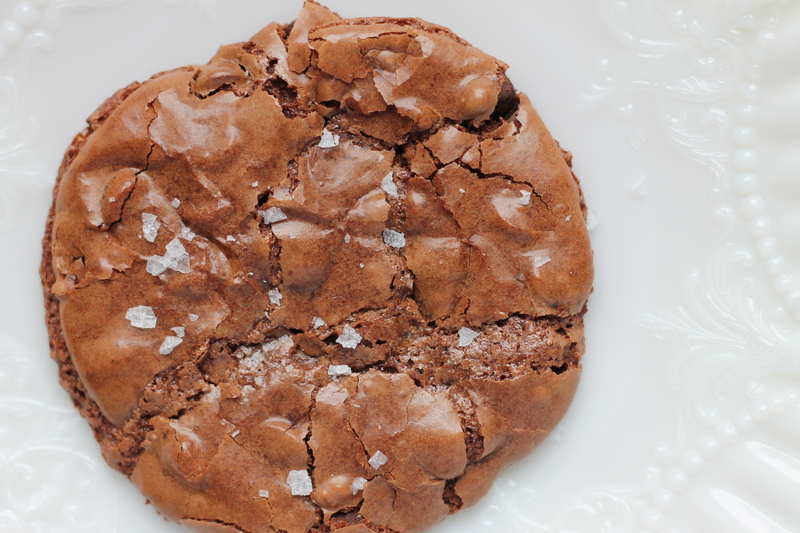 The beauty about these cookies really is the pure chocolate flavor that comes through. They reminded us of brownies, but they contain no butter or flour! Our cousin cannot have gluten, so we’re hoping to bring these cookies when we go visit her family in a couple weeks. We have pretty much no experience in gluten-free baking, but we figured that we would give these a try to see if they were a success. They were, and they didn’t require any flour substitutions. We all felt that these would be good without the chocolate chips too, since the cookies are already pretty sweet, so it is up to you to include/reduce them. Either way, these will satisfy any chocolate craving! Whisk together powdered sugar, cocoa powder, cornstarch and salt in a mixing bowl. Add the egg whites, egg and vanilla extract and mix until well combined. Fold in chocolate chips. Drop dough by heaping tablespoons onto prepared baking sheets, spacing cookies about inches apart. Bake in preheated oven until cookies are puffed and crackled, about 14 minutes, rotating sheets halfway through during baking. Remove from oven and sprinkle tops lightly with sea salt. Let cool on baking sheet 5 – 10 minutes and then transfer to a wire rack to cool completely. Enjoy! Those cookies look delicious!!!!! Can’t wait to feast on them (and to see you guys)!! Thanks for being so thoughtful!! We can’t wait to see you too!! Let us know if there’s anything else that you’d like us to bring!